–The Templeton Historical Society dedicated the 12-foot Crescent Farm Milk Bottle Wednesday at the History Center in downtown Templeton. Several members of the Rossi family talked about the family history in San Luis Obispo County and the dairy farm in Templeton. 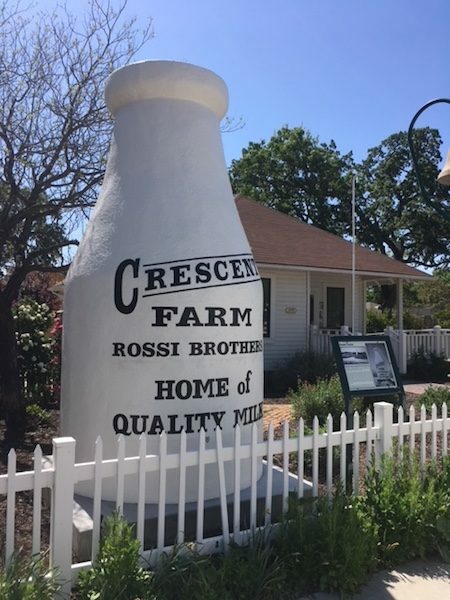 In the 1930’s, Gregory Rossi built the 12-foot milk bottle and stood it next to the Crescent Dairy Farm off El Camino Real just south of Templeton. When 101 opened in the 60s, the bottle was moved closer to the farmhouse. Recently, the 12-foot milk bottle was relocated to the front of the Templeton History Center. Several members of the Rossi family shared their memories of the dairy farm and their Swiss-Italian family. Vicente Rossi relocated from the Swiss Alps in the late 1800’s. Vicente and his brothers drove the family goats into higher elevations during the summer, but after hearing about opportunities in California, Vicente told his grandfather he would instead be moving to California. The dairy farm property was shaped like a crescent, which inspired Vicente to name the dairy Crescent Farm. For decades, the farm produced milk from dairy cows which were milked twice-a-day. Vicente retired in the 1930’s. About sixty people crowded into the assembly room of the Templeton History Center to hear the Rossi family speak. The event opened with a self-introduction of those who attended, most of whom were long-time Templeton residents. Ray Rossi of Los Altos Hills talked about his family history and described when he flew a plane low over the community in 1956. 67-year-old Chuck Lowe of San Luis Obispo, who grew up on the Lowe farm next to the Crescent Farm, said he clearly remembered when that plane flew low over Templeton. He was only 5-years-old at the time. 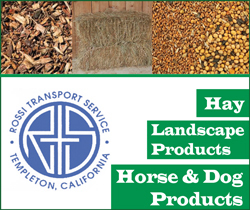 Atascadero’s Steve Rossi gave a thorough history of the farm and the family’s dairy production. Although when it came to a cow epidemic which destroyed much of the herd of dairy cows, Steve got help from several old-timers in attendance who remembered the tragic event 50-60 years ago. The Crescent Farm 12-foot milk bottle now stands in front of the History Center in Templeton on Main Street. 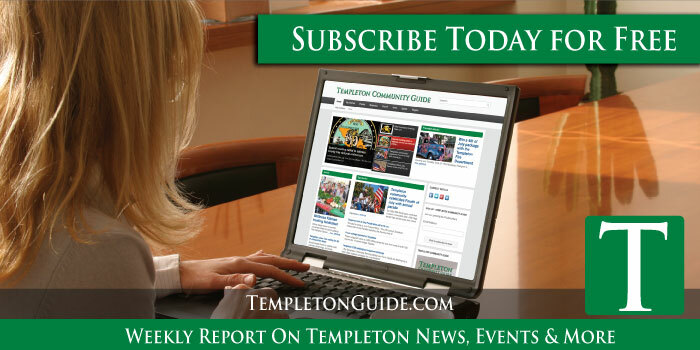 It’s a reminder of Templeton’s rich history in agriculture. And it reminds many old timers of seeing the milk bottle as a landmark as they traveled north and south through the northern San Luis Obispo County.